Call (970) 279-1178Get a Quote Now! That's right, we specialize in carpet repair. Many customers in the Northern Colorado area have contacted us to repair their carpet and have left the experience ecstatic about our work. 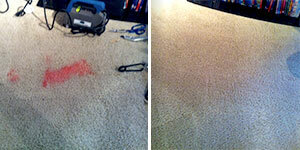 We can stretch out your carpet, patch up that stubborn stain and even repair an old transition. Our technicians are trained to do the job the right way, and we are confident in our work. That is why we back all of our repairs with 5 year carpet repair guarantee. Read more about our services below or fill out the form above to get your free quote! Have a stain in your carpet? Did your dog have a little too much fun? With our use of modern technology we can patch up your carpet and have it looking brand new. We will cut your patch precisely to the perfect fit and seam seal it for a high quality durable finish. Backed by our 5 Year Carpet Stretching & Repair Guarantee! 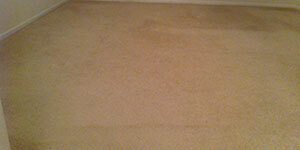 We can repair wrinkles in your carpet caused by faulty installation. We use a power stretcher ensuring that stretch in your carpet lasts. It does take skill; our technicians are trained to make sure the job is done correctly. We have the confidence behind our work to guarantee your repair in writing for 5 years. No more wrinkles! Does the seam in your carpet leave something to be desired? We have the solution! 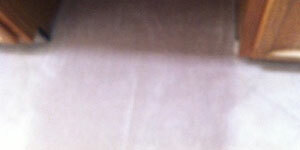 We can tear apart the seam and reconstruct it to our high quality standard. You no longer have to stare out the blemish left by your carpet install. We believe in our work and so do our customers. Click Here to Read our 5 star Reviews! Have you recently had tile or hardwood installed and need the carpet re-tacked or a transition placed? We can definitely take care of this repair work for you. Our work includes residential and carpets in the commercial industry.